Online Application Details for Eastern Coalfields Limited ECL Recruitment of 50 Mining Sirdar is given below. 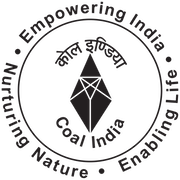 Application form and duly attested documents are to be sent to Chief Manager(P/Recruitment), Eastern Coalfields Limited, Subhash More, At-Sanctoria, PostDishergarh, Dist. Burdwan, West Bengal-713333. In envelope super scribed with 'Application for the Post of Post Name'.